SCADA is the essential component in the industrial unit which monitors the PV solar modules. SCADA Box provides feasibility in monitoring and controlling various unit components and operations, including, inverters, trackers, substations, and meters. SCADA Box is designed in such way that it delivers maximum monitoring of the output/performance, the system logs any issue and abruptly triggers alarms so that the concerned staff can fix or change issues/components or fine-tune the process of unit operation. 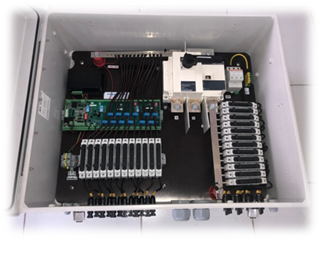 String combiner box and SCADA system have proven capable of monitoring PV plants exceeding 5 MW individually, as well as some larger unit, multisite systems. One such SCADA system designer is Photon Solar, a Solar SCADA Company in Hyderabad.